Stonewall’s flagship product CAMRA™ is a complete Real Estate Administration package. It has been uniquely designed to give localities the ability to maintain all aspects of the local real estate property roll, including the administration and management of the entire general reassessment process. It is installed in over 40 Virginia localities servicing more than 750,000 parcels. CAMRA™ can be used either in house or by reassessment contractors to perform all functions of the state mandated General Reassessment. Rate structures are table driven to enforce equitable assessments across the entire jurisdiction. It has been used by every major mass assessment firm in the state and is used to reassess more than 150,000 parcels each year. CAMRA™ features also include: a Manufactured Housing system; picture management; sketches, and much more. Additional modules are available that augment CAMRA™’s functionality, such as Land Use Management, Personal Property Integration, and the Market Analysis Toolset (which includes sales analysis and quality assurance tools). Calculated Field Sheet Printer - The CAMRA Field Sheet Printer is a PC based add-on to our popular CAMRA product. The redesigned field sheet features pictures and solid line sketches. If the printer supports duplex, information is printed on both sides allowing more information per field sheet. This new sheet is ideal for both field work and distribution to citizens. GIS Extraction – A product that is an SQL Server Integration Services (SSIS) Package that extracts real estate and tax assessment information from CAMRA software on the IBM AS/400 and populates a SQL Server database. 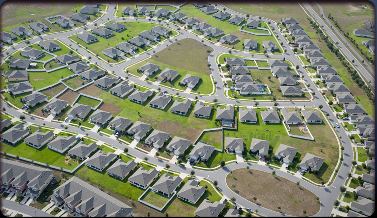 Land Use Valuation System – Land Use Valuation creates a subsystem that calculates and maintains parcels participating in the State Land Use System. Features include valuation, printing letters and notices, and rollbacks. Market Analysis Tool Set – MATS provides a rich set of tools for advanced statistical analysis. Generate and view broad base statistics, perform comparable search analysis, compare targeted properties, analyze vacant land sales, and print reports. PP/CAMRA Link Library - PPLink updates CAMRA’s personal property manufactured housing data to BAI (Bright) software, including values, by VIN numbers. 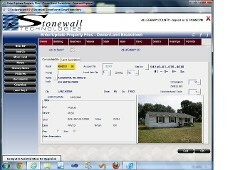 Since 2001 VamaNet.com has been the premier Internet destination for publishing Real Estate data. Publishing your assessment data online has never been easier: simply upload the data to our system and let Stonewall do the rest. The website is a must have tool for real estate professionals and provides a great service to them, the citizenry, and the local governments. Localities may contract with Stonewall to make the data publicly available or may choose to restrict access to subscribers at no cost to the jurisdiction. In either case, the locality receives a free account for internal use that makes sharing data with other government offices virtually painless. VamaNet™ is a stand alone system and can be used with any CAMA software provider. Our newest addition is an upgraded version of our CAMRA product. This product runs in a browser and gives CAMRA the look and feel of a Windows application. CAMRA_UP provides the same functionality as the original software in an enhanced graphical user interface. This is perfect for the end users who prefer to point, click and select over traditional keyboard data entry. Because of it's environment, this application has more flexibility built in and is easily integrated with email, google maps along with any other existing PC applications.